Java is one of the most crucial programming languages in today's time, but it is a chord of panic too for many students. This computer language requires a great effort, even in doing assignments and projects. Moreover, it is based on coding and some theoretical knowledge which creates a difficulty for the students to grasp the concept. Also, if students are not able to understand the concept, it can result in apoor performance in the examination. But, they do not need to worry as EssayCorp is there to offer the best java assignment help. Our professionals are research scholars who have a deep knowledge of Java and its concepts. Our objective is to help students get a proper awareness and understanding of this computer language in order to get better grades than ever. Java is an object-orientated programming language, which is evolved to use in the dispersed atmosphere of the Internet. 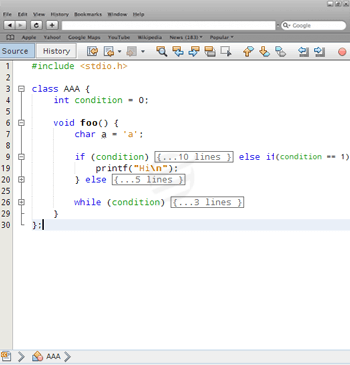 It somewhat looks like C++ language but it is quite simpler than it. It is used to make applications that are capable of running on a single computer or a computer setup. It can also be used to make small application modules. Also, it is extensively used in designing safety software. Class keyword: This keyword is used to declare or define a class in Java. It can also be used in the form Class. Public keyword: It is an access modifier which represents visibility, means it is visible to all other classes. It is also used to state a member’s access as public. Static keyword: The static keyword is mostly used for memory management. The core advantage of the static method is that there is no need to create an object to invoke the static method. Void keyword: The main purpose of the void keyword is to notify the computer that main () does not return a value. Main: Main is not a keyword in java. It usually represents the startup of a program. String args: String args is defined as an array of console line argument whose data type is known as a string. In Java, it is used to declare an array. System.out.println(): It is used to display message on the sceen in next line. System.out.print(): It is used to display message on the sceen. Simple to operate: Java is easy to write, more readable and eye-catching. It has a concise, cohesive set of features drawn from C++ that makes it easy to understand and use. Secured in nature: As a Java program cannot harm any other system, which makes it secure and provides a secure means of creating Internet applications. It also provides a secure way to access various web applications. Highly portable: Java programs can execute in any environment for which there is a Java run-time system is available. It has programs that can be run on platforms such as Linux, Windows, and Mac etc. Object-oriented: Java is an object-oriented programming language like C++ that offer concepts such as data binding and inheritance. Robust: It encourages error-free programming by being strictly typed and performing run-time checks. Multithreading: Java provides integrated support for multithreaded programming as it is a process of executing multiple threads at the same time. Interpreted: It supports cross-platform code through the use of Java bytecode. Bytecode can be interpreted on any platform by using JVM (Java Virtual Machine). High Performance: Bytecodes are highly optimized as Java virtual machine can help in executing them much faster. Distributed & Dynamic: Java was designed with the distributed environment, which can be transmitted and run over the internet. Java programs carry with them substantial amounts of run-time type information that is used to verify and resolve accesses to objects at run time. For detailed information, get our Java assignment help services. Java NetBeans: It is a software development program which is written in Java that helps in developing application through a set of modular components called modules. It also supports other programming languages such as C, C++, PHP, and HTML 5. JBoss: It is a Java based application server that is mostly used for building and hosting several transactional Java services and applications. As, it is Java-based, the application operates across various platforms. Now, this application is a division of Red Hat. Apache Tomcat: Apache Tomcat is an open source server that includes web socket, Java servlet, and Java server pages. Also, it offers an environment in which a Java code can run. Eclipse: It is one of the most commonly used Java integrated development environment that has a workspace for customizing the environment. Moreover, it is used to develop Java applications in other programming languages such as C, C++, and PHP etc. Hibernate: It is an important tool for Java that offers a complete framework for plotting an object oriented domain model to a relational database. It also helps in solving problems by placing a persistent database access with object handling functions. Spring: It is an open source platform, which is most popular in the Java community. The spring framework can be used by any other Java application, but there are also some extensions that are used for building web applications. Java is a vast field that includes many topics and sub-topics. But, due to the involvement of coding and practical aspects, it becomes troublesome for most of the students. Due to its complex structure, only a few students are able to do it efficiently. So, if you want to hold a perfect grip on this concept of computer language then don’t think twice, click EssayCorp. Over the years, our experts offer the best professional assistance to all the students who seek for Java assignment help. With our skilled experts, students can get the can get rid of all their coding problems especially assignments and projects. Our professionals also hold years of experience in the programming languages and acquire a lot of practical skills that help in getting your assignment done before the deadline. Besides it, our writers provide quality content with detailed research on the assigned topic. At EssayCorp, we provide the genuine assistance to the students according to their assignment needs. Our team makes sure that content is gone through all grammatical checks and proofreading by the experts. Also, we have separate writers for many programming languages who especially deal with the concept of Java. Along with having extensive knowledge of Java, our experts are experienced too and they are ready to fulfill all the requisites of all academic levels in colleges and universities. Our skilled writers believe in student’s satisfaction and give 24-hour assistance to deal with all your concerns and queries related to the concerned subject or topic. Apart from this, we offer you free Turnitin report with the delivered assignment so that you can make sure the assignment is plagiarism free. Our Java assignment help experts will solve all your problems, no matter how difficult it is. Our experts are always available for revisions and queries that arise in between the process to ensure quality submission at University.